Mildred Bonds, 93, of Sour Lake, died Friday, March 29, 2019. 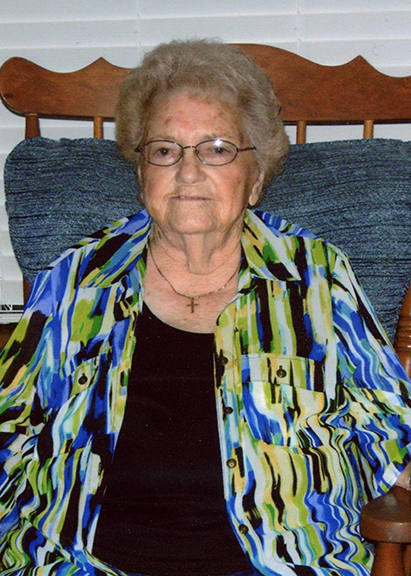 She was born on September 18, 1925, in Merryville, Louisiana, to Dora Ann Hennigan and Ivey E. Hare. Survivors include her daughters, Fushia Crow and her husband, Sonny, of Kountze and Belinda Martin of Sour Lake; grandchildren, Fushia DeLeon of Sour Lake, Marion Jerdee of Kountze, and Matthew Wilkins; nieces, Janye Rodgers and her husband, Paul, all of Sour Lake and Pauline Haynes of Nederland; nephew, Roy Rodgers of Sour Lake; three great-grandchildren; five great-great-grandchildren; and numerous nieces and nephews. Mildred is preceded in death by her parents; husbands, Ernest Bonds and James David McCallum; and her brothers and sisters. The family would like to give a special thanks to Megan, LaDonna, and Reverend Ellzay with Kindred Hospice, for all the work they did and the care they had for Mildred. A gathering of Mrs. Bonds’ family and friends will begin at 1:00 p.m., with her funeral service to follow at 2:00 p.m., Sunday, March 31, 2019, at Broussard’s, 530 West Monroe, Kountze. Her interment will follow at Rosedale Cemetery, Sour Lake.